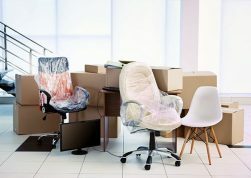 5 Easy Ways to Have an Eco-Friendly Move - MoveStar Inc.
Over the last couple of years everyone has become more conscious of their carbon footprint and when it comes to moving, there are many ways to keep your waste to a minimum. Here are our tips on how to make your next major move as eco-friendly as possible. Moving is a perfect opportunity for getting rid of the things you no longer use and giving them a new life. For example, start with your closet. If you are wondering where all those clothes came from and realize that you do not wear them, and they are just taking up space don’t pack and move them to the next closet where they’ll just sit, unused. Donate old clothing to a local shelter or non-profit organization that could truly benefit from it. As you are organizing, sort the items you’re ready to get rid of into “donate,” “recycle,” and “toss” piles. Pro tip: keep your toss pile as small as possible, and it should only include items that you really, truly can’t do anything else with. When it comes to moving to a new home, you will want to save on cost and your carbon footprint by using what you already have. Chances are that in your home there are numerous items that will be beneficial in orchestrating a successful move. 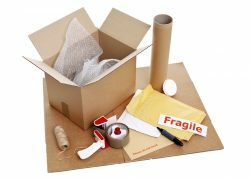 Many people purchase moving blankets during relocation in order to protect fragile items. However, instead of buying them, try using things you already have in your home. Blankets and pillows are great items that you can use to protect things such as mirrors and TVs from being damaged during the relocation. For each moving supply that you do not purchase, you are helping to reduce your carbon footprint dramatically. To move green, find used boxes from other places first and if you can’t find enough then buy new boxes. Call up friends, family members, local grocery and retail stores and put out a general post on your social media pages to see if anyone has spare boxes you can pick up. If that doesn’t work, check out Craigslist to see if there are people giving away free moving boxes in your area, and visit a site like UsedCarboardBoxes.com which can set you up with boxes that were rejected by manufacturers for flaws. With enough outreach, you should be able to acquire exactly what you need. Now is the time to purge the old desktop monitor, and flip phones or Blackberries and random stereo equipment sitting around. Recycle them instead of throwing them out and into landfills. Nontoxic, earth-friendly cleaning supplies are kinder for the groundwater and the environment in general, not to mention to your skin and lungs. Purchase brands like Seventh Generation, Mrs. Meyer’s Clean Day, or Ecos. These brands use sustainable packaging and natural ingredients. Movestar Fireman movers are here to assist your eco-friendly move.